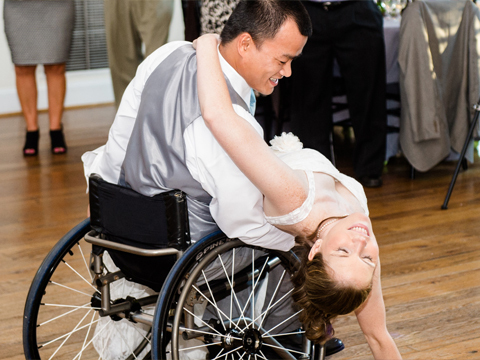 American DanceWheels offers wheelchair dance certification courses online and in-person. 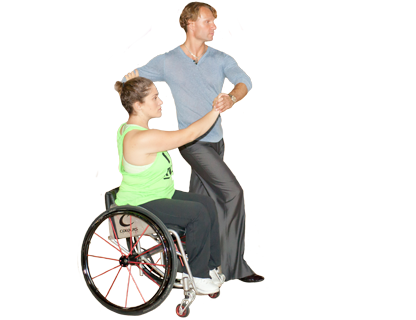 Become certified and open a wheelchair dance class in your community. American DanceWheels gives face-to-face, interactive classes online via Skype. Sign up for an introductory lesson today! ADF's professional formation team recently performed for the Pan American Games in Toronto and the Papal Visit in Philadelphia. 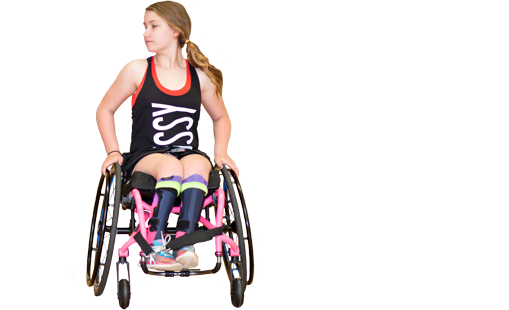 Because of you American DanceWheels is able to enrich the lives of all people by providing unique educational opportunities through dance. 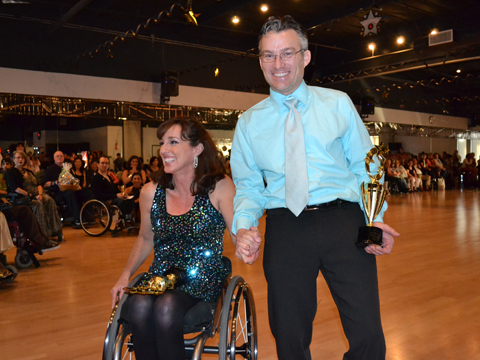 American DanceWheels Foundation (ADF) is a 501(c)(3) non-profit organization that teaches Wheelchair Ballroom and Latin Dance. Wheelchair dancing integrates people with and without physical disabilities and can be enjoyed by people of all ages and ability levels. 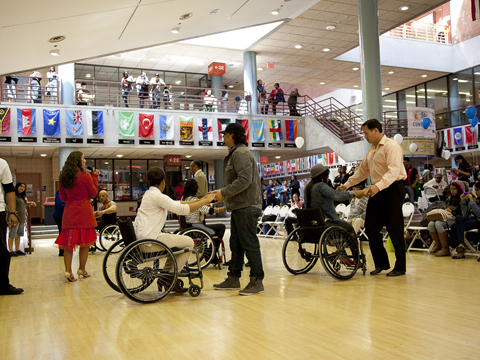 American DanceWheels created the first American style wheelchair dance syllabus, Wheel One™. 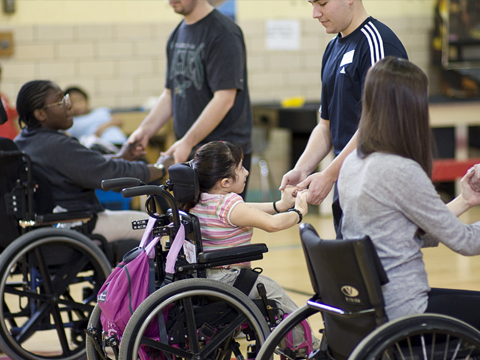 Our organization promotes wheelchair dancing through lessons, educational seminars and performances in dance studios, schools, and rehabilitation facilities across the country. "It is through ongoing programs such as yours that enable us to provide positive experiences that promote the children's development and make their hospital stay more enjoyable." "After watching your performances over the last couple of years, my awareness of people using wheelchairs has changed." "ADF opens new doors and begins new chapters for people through music." Let us help you make the perfect dance for the perfect day! Inspired by our Widener Memorial and Temple University Collaboration, ADF provides integrative dance programs to schools during and after school hours. ADF partners with veteran hospitals to provide social dance lessons and events to soldiers of all ages. This effort benefits the participants' physical and psychological health and combats the complications associated with PTSD. A study conducted by the Palo Alto VA concluded that ADF's Wheel One™ Program improved participants' range of motion, speed, balance, strength, mood, and more. Read more about it here. 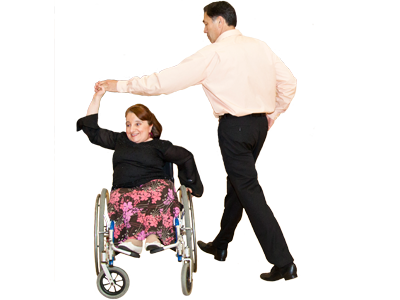 We bring disability education lectures infused with wheelchair ballroom dance demonstrations to universities, schools, and hospitals across the country.